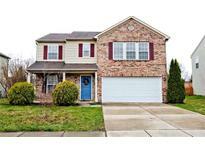 Below you can view all the homes for sale in the Woodberry subdivision located in Fishers Indiana. 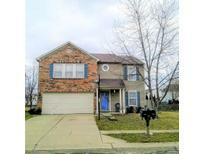 Listings in Woodberry are updated daily from data we receive from the Indianapolis multiple listing service. To learn more about any of these homes or to receive custom notifications when a new property is listed for sale in Woodberry, give us a call at 317-987-2530. Master bathroom has double sink, jetted tub and large walk in closet. A Must See! MLS#21632857. Front Porch Real Estate, LLC. Upstairs has 3 huge bedrooms, spacious loft area and Den * Master boast huge closet and deep garden tub, * Main floor has Large Great room w/cozy stacked stone fireplace * Large open kitchen with breakfast area and pantry includes all stainless appliances * Washer and Dryer included * Fenced backyard has paver patio and play set * Home is close to walking trails shopping and schools * Easy to show and move in ready! MLS#21631144. F.C. Tucker Company. Easy access to restaurants, shopping, highways and the Hamilton Town Center Mall. MLS#21631117. Realty World Indy. Top Rated Fishers School System. One year warranty included. MLS#21627326. CENTURY 21 Scheetz. Don't miss out on this one! 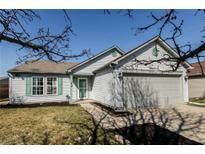 MLS#21629335. RE/MAX Legends Group. Newer carpet, paint and granite counters! MLS#21626567. Green Pocket Realty.